Lawrence Scahill, MSN, PhD, professor of pediatrics at Marcus Autism Center and Emory School of Medicine, and Karen Bearss, PhD, assistant professor of pediatrics at Marcus Autism Center and Emory University School of Medicine, recently conducted a study investigating the efficacy of parent training for children with autism spectrum disorder (ASD) and their related disruptive behavior. 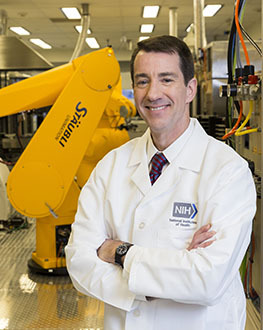 Scahill received a Healthcare Innovation Program grant from the Georgia Clinical & Translational Science Alliance (Georgia CTSA) related to this research. In previous studies, there have never been large-scale, randomized, clinical trials investigating the behavioral intervention potential among children (ages 3-7) with this disorder. ASD is characterized by continual deficits in social communication and interaction and repetitive actions and activities detected in early development that cause clinically significant impairment in function. Children may be mildly impaired or severely disabled by their disorder. Behavioral issues range from tantrums and aggression to self-injury and noncompliance. In the 24-week randomized trial, 89 parents of children with ASD and behavioral problems received parent training to promote becoming a better behavioral interventionist, while 91 parents received simple education about ASD, but no information on how to manage the problems. The Journal of the American Medical Association reports that while both groups of children improved, parent-rated outcomes found a 24-week parent training program superior to ASD education for reducing disruptive behaviors. There was an almost 48% decrease of disruptive behavior and a decline of 55% in noncompliance among the training group, far higher than simple parent education. The Center for Clinical and Translational Research is currently funding a junior faculty pilot grant to support a telemedicine initiative for an investigator at Marcus Autism Center to reach and train out-of-state parents and provide the intensive therapy that has been found to benefit children with autism. The Georgia CTSA is a statewide partnership between Emory, Morehouse School of Medicine, Georgia Tech, and University of Georgia and is one of a national consortium striving to improve the way biomedical research is conducted across the country. The consortium, funded through the National Center for Advancing Translational Sciences one of the National Institutes of Health’s Clinical and Translational Science Awards (CTSA), shares a common vision to translate laboratory discoveries into treatments for patients, engage communities in clinical research efforts, and train the next generation of clinical investigators. Healthcare Innovation Program-ACTSI seed grants fund multi-investigator and multidisciplinary teams examining healthcare services and clinical effectiveness. Awards support innovative approaches that address issues of healthcare quality, costs, and/or access that are consistent with the goals of the Healthcare Innovation Program.